Posted on 04/12/2019 by Miyun Park	in Preview and tagged 9:30 Club, England, Foals, post-punk, psychedelic. 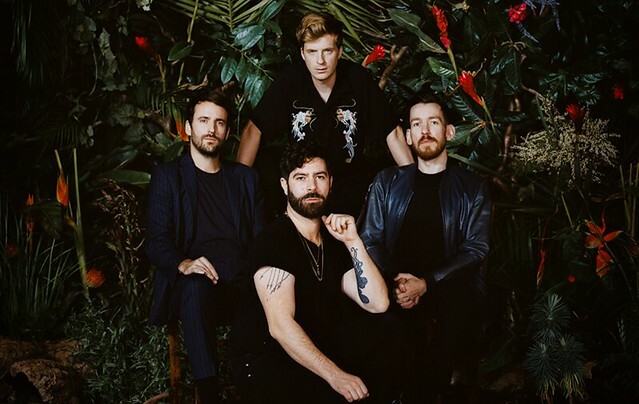 English rock quartet Foals are back with a new album, Everything Not Saved Will Be Lost – Part 1, released in March via Warner Music, and Yannis Philippakis and company headline two nights at 9:30 Club! The first night is sold out, but you can see Foals at 9:30 Club on Thursday, April 18. Every pair of tickets to Foals’ second-night show at 9:30 Club on Thursday, April 18, purchased online includes your choice of a CD or digital copy of Everything Not Saved Will Be Lost – Part 1, released just last month. Part 2 is slated to be released this autumn.